I'm using A-Frame and AR.js sample to create custom marker. 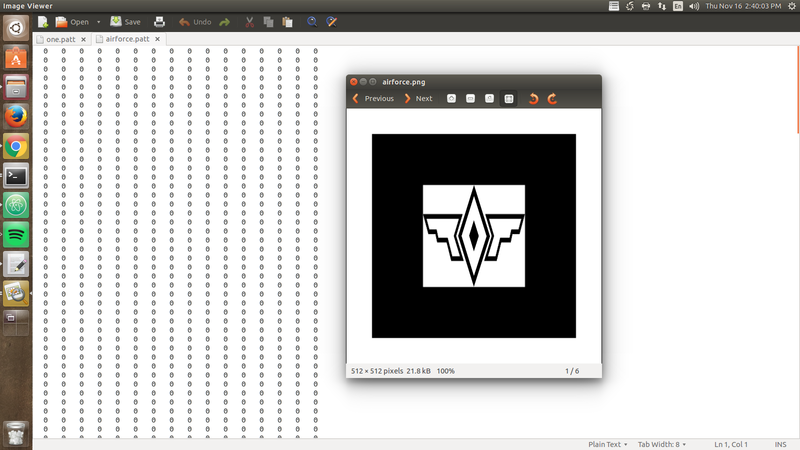 .patt files for both patterns are stored in markers folder for access. Hiro pattern is working fine but the custom one is not. Can anyone help, find what's missing? Is it because the image of the kitten is very complexed. If you will see and open the insides of the PATT file that is being provided by AR.js once you trained a marker, you can see like this. The pattern trainer just creates a file full of only 0's and 255's and it is the one that serves as the guide for the camera to identify the user. In your case, the trainer will not recognize the image of the cat because it has very complex sides and edges. In my case here, I tried to train a marker (which is the roundel of the Philippine Air Force), the marker trainer just generated a bunch of 0's in the PATT file because for AR.js, my image here is very complex. In your case, the trainer maybe generated a PATT file containing bunch of 0's as well. How to run a makefile in Windows? Why is raycast direction calculated incorrectly in WebXR?